In the meantime, imagine that your adult daughter has caught the attention of a crazed stalker and goes to buy a handgun for self-defense at a gun store here in Wyoming. She knows, and you know, that her having that handgun may very well save her life. But she finds out that because of Rep. Cathy Connolly’s new bill, she has to remain unarmed and defenseless for three days — hoping that she’s not raped and murdered in the meantime. 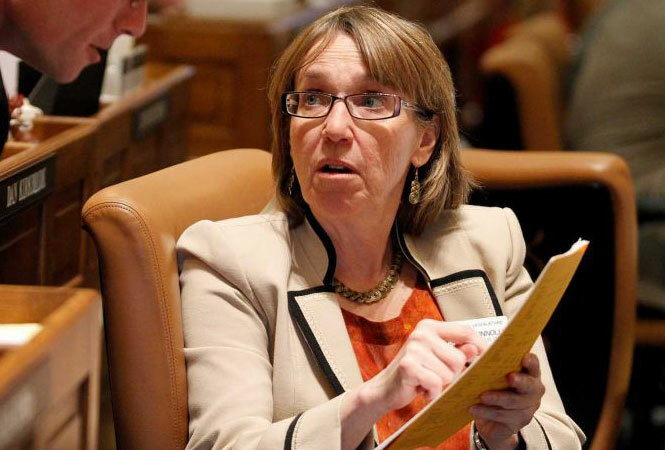 That’s right, Rep. Cathy Connolly has filed three days, which would mandate a 3-day waiting period on virtually all handgun sales in Wyoming! More, this bill will be heard in the House Judiciary Committee today at noon, which is why I need to contact the members of the committee right away. More on that below. Rep. Connolly knows good and well that violent criminals don’t wait three days to buy a handgun. They simply steal them or buy them off the street. The only people who will be affected by this silly proposal are you and me — law abiding gun owners here in Wyoming. Frankly, this proposal is so outdated and such a slap in the face to gun owners I didn’t even believe it was a real bill until I saw Cathy Connolly’s name on it. Connolly has been a long-time enemy of your gun rights, and this is just the latest in her non-stop war against gun owners. She’s hoping to slide this through committee today quietly — before anyone finds out — so she can do her best to put it on the floor. Please take a moment to contact the members of the House Judiciary Committee IMMEDIATELY — and tell them to kill this bill today! >>> Rep. Bo Biteman at [email protected], or by calling him at (307) 763-7613, or by sending him a message on Facebook. Tell them no playing games with these gun control bills, you want them to kill this bill today in committee. Anyone who supports this legislation will be clearly identified as an enemy to the Second Amendment! Also, if you’ve not done so already, I need you to renew your membership in Wyoming Gun Owners right away. No one outworks WyGo. No one informs you faster. And no one will be there at election time to hold anti-gun legislators like Connelly accountable better than WyGo! But we can’t do it alone — so please renew your support today! Whatever you do, please contact the committee immediately, that’s most important. P.S. At noon today, the House Judiciary Committee will be taking up Rep. Cathy Connolly’s bill to leave Wyoming citizens unable to buy a handgun for 72 hours! That’s right, HB160 would make you a criminal, and eligible to serve 180 days in jail and a fine of almost $1,000, for daring to buy a handgun without waiting for days. Imagine a young woman — being stalked by a violent ex — being forced to cower in fear for days, all because Rep. Connolly thinks she knows best when you should able to defend yourself! Please call the committee immediately, using the information above, and demand that the committee kill this bill today! When you’re done, please help us maintain the fight for the Second Amendment in Wyoming by renewing your membership in WyGo TODAY!